Busy schedules, work pressures and constant shuttle between New Delhi and Baddi in Himachal Pradesh where my factories are, leave little time for family. 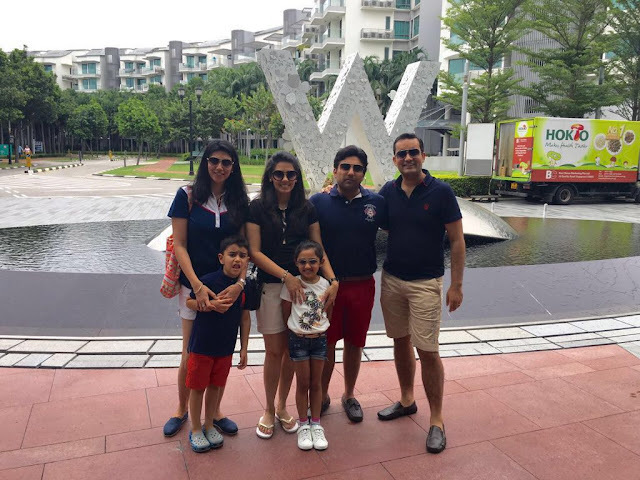 A long weekend was coming up and I thought rather than usual mall hopping, fighting traffic and struggling for parking at crowded spaces in New Delhi, it was better to head out for a quick getaway and enjoy my time with my wife Pallavi and daughter Sayesha. 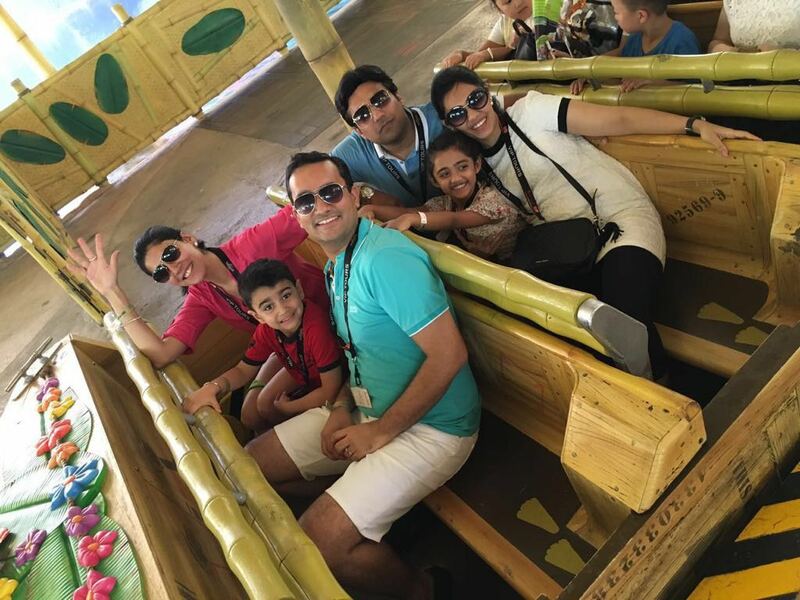 Since this vacation was for my wife and daughter, I wanted a destination that was easily accessible and offered ample activities and sightseeing options for them. These considerations made Singapore our obvious choice. We did most of our bookings from India itself. 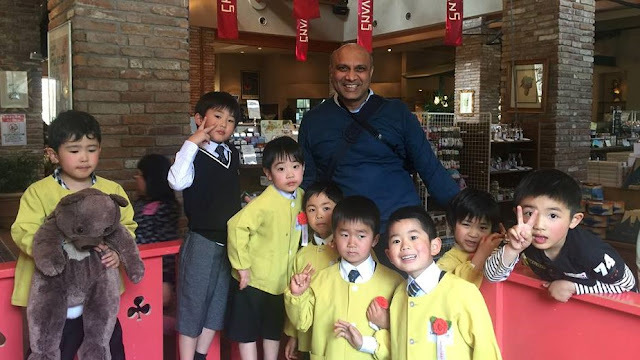 We decided on and booked important things such as stay and activities such as theme parks and must visit places from India and left options open to be able to explore Singapore on our own as well. While planning a relaxing break with family, I would advise everyone not to cramp their itineraries with too many activities and leave little time to relax. 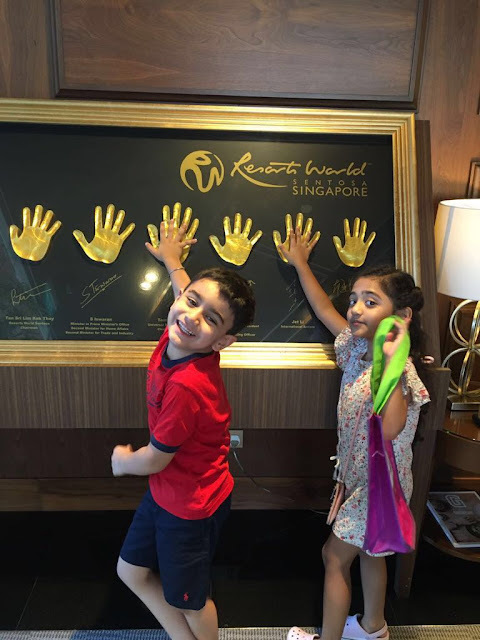 We made sure we could cover all the important places in Singapore and yet be able to enjoy and unwind on our five day family tour. We took a morning flight and in about five hours we reached Singapore. Our first two days were to be at Sentosa — the popular island in Singapore. Under an hour’s drive from Changi Airport took us to W Singapore Sentosa Cove hotel. We checked in, got over our flight fatigue and feeling refreshed went to Siloso beach in the evening to just relax and unwind. There were no activities planned for the day as we wanted our daughter to enjoy the place than be rushed into any activities the moment we land. We devoted our first day to having a leisurely time at the beach. Sentosa is a Malay word derived from Sanskrit term Santosha meaning contentment. We had a visit to Universal Studios planned for day two and Sayesha was visibly excited about it. Sentosa Island is ideal for kids, offers ample options to them with Universal Studios being the main attraction for everyone. It was five minutes’ drive from our hotel. We reached there and it was the time for our daughter to enjoy herself and for us to bring the child in us to life. I would recommend a VIP Pass for the park as you do not have to wait in queues, get priority access to rides and you have a personal guide with you for up to five hours. Universal Studios is divided into various zones such as Hollywood, New York, Sci-fi City, Ancient Egypt, Lost Work and Madagascar and has roller coasters themed around popular Universal Studio productions such as Puss in the Boots’ Giant Journey, Battlestar Gallactica, Transformers Ride, Madagascar, Shrek Dragon ride, Mummy, Jurassic Park Rapids etc but the best of the lot was Gallactica: Human vs Cylon ride. 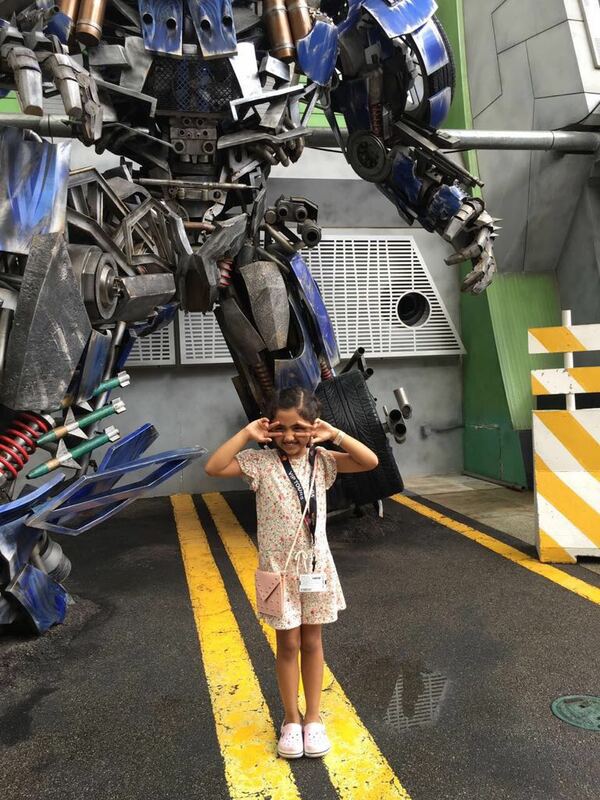 Transformers 4 D Ride is also an experience you shouldn’t miss. A day of frolicking around the park was exactly the kind of family outing we craved. We stayed till 9 pm at the park. We were also able to squeeze in a visit to Madame Tussauds and posing next to the wax statues of iconic batsman Sachin Tendulkar and our PM Narendra Modi were the high points. There is never a dull moment for kids at Universal Studios in Sentosa. Apart from Universal Studios, the two biggest attractions of Sentosa are Singapore Cable Car and SEA Aquarium. The Cable Car has two lines. The first line takes you atop Mount Faber's Peak. The second line takes you from Sentosa to Singapore and back. While the cable car offers a amazing views of the island, there's a Zip Line where you breeze through the island. It is one activity that gives you the real adrenaline rush. It takes about an hour for a round of the underwater SEA aquarium but every moment spent is memorable. The light and laser show Wings of Time was another attraction that I would suggest everyone to watch. It is an amazing outdoor night show that you must watch when there. 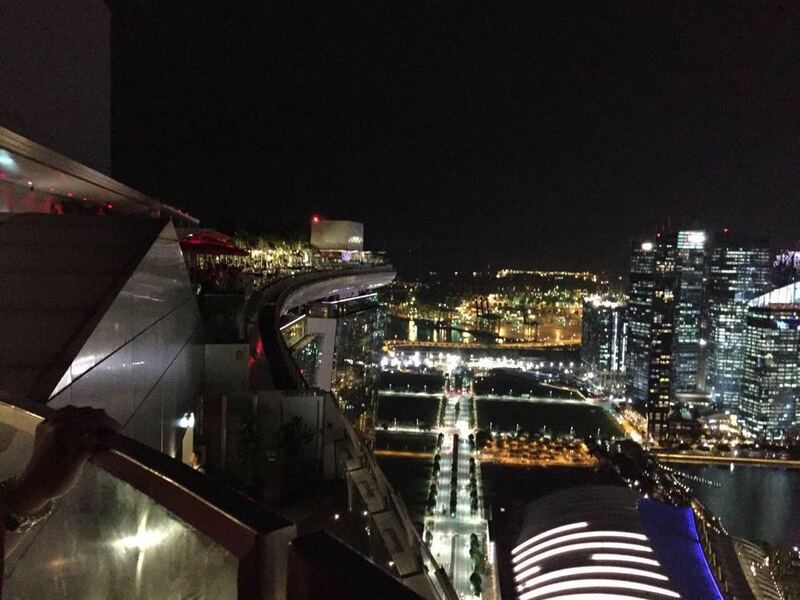 Sky Deck at Marina Bay Sands hotel offers an unmatched view of Singapore. After the calm setting of Sentosa, it was time for us to feel the buzz of Singapore for next two days. We took a taxi and went to Grand Hyatt Singapore hotel at Orchard Road. We opted for it as Orchard Road is among the most happening spaces in Singapore and has major attractions close by. This was to be the most hectic day of our tour with a city tour and various visits lined up during the day. We went for a city tour in the morning and went to Gardens by the Bay post our lunch. Singapore is a world city. Its charm grows on you as you roam around. Skyscrapers, British architecture and shop houses, the city’s design is unique that incorporates modernity yet retains tradition. It has amazing taxi service and equally efficient public transport. We also went to another Singapore icon — Marina Bay Sands. You must visit the sky deck at Marina Bay Sands as the view from there is unmatched. It also hosts a laser show that can be seen from across the river too. 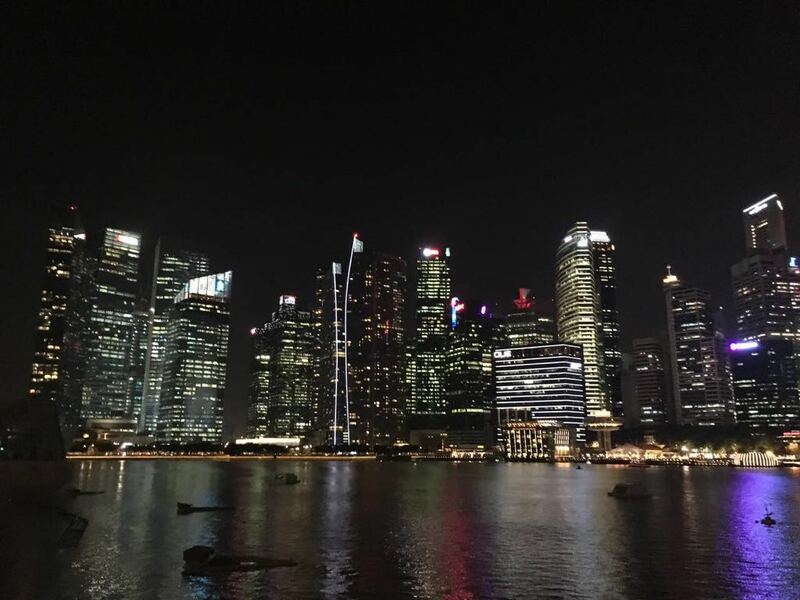 "Singapore is a world city. Its charm grows on you as you roam around. Skyscrapers, British architecture and shop houses, the city’s design is unique that incorporates modernity yet retains tradition." Post our day spent exploring Singapore; we went Clarke Quay, a happening riverside quay dotted with eateries. We enjoyed our dinner there before calling it a day. I must add Singapore has a lot of Indian dining options. Local Singaporean food is somewhat similar to Indian taste and people visiting should give it a try too. We started our fourth day late. Stepped out for lunch at Orchard Road and followed it with window shopping. We strolled around till evening as we had night safari planned later. 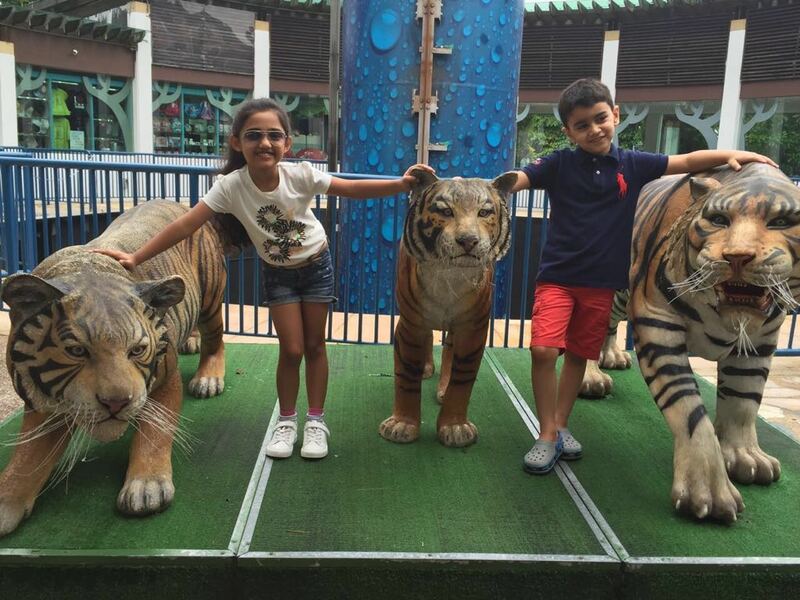 A visit to one of its kind nocturnal zoo was an experience that kids will love. No wonder it is among the most popular attractions of Singapore. A tram takes you around this safari park divided into geographical zones. You can also opt for a VIP experience where a dedicated guide takes a small group on a private tour or enjoy the walking trails. After this unique experience we headed out to Little India area and followed it with China Town. 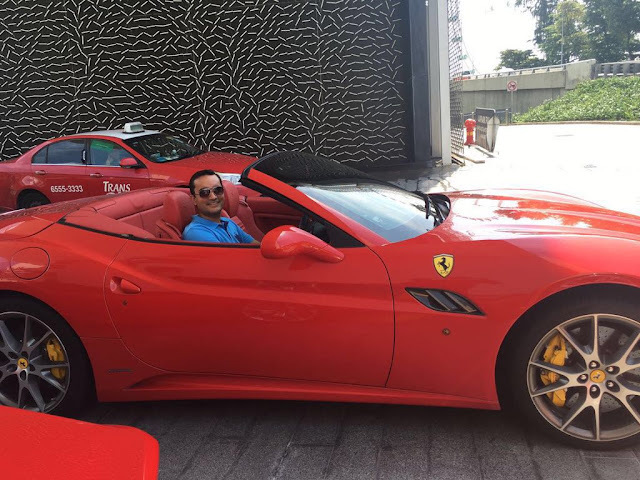 Aman Rathee taking a Ferrari for a spin on a race track. The experience for 15, 30 and 60 minutes can be booked at the hotel lobby of Marina Bay Sands. You need a valid driving licence to be able to enjoy the experience. It was fifth day and time for us to pack our backs for return journey. Since we had time for us in the morning, we decided to soak in some more of Singapore. We went to Marina Bay Sands hotel. We were informed about a driving experience where we could drive a Ferrari California or Lamborghini Gallardo Spyder on a race track for 15 minutes. We registered for it at the hotel lobby and the best bit about is that you can take your kid along on the drive as well. After enjoying a spin in Ferrari we returned to Orchard Road, did a bit quick last minute windo shopping and headed out to catch out evening flight. Singapore is a very doable quick break with family. It is a perfect weekend getaway that has a lot to offer for everyone.